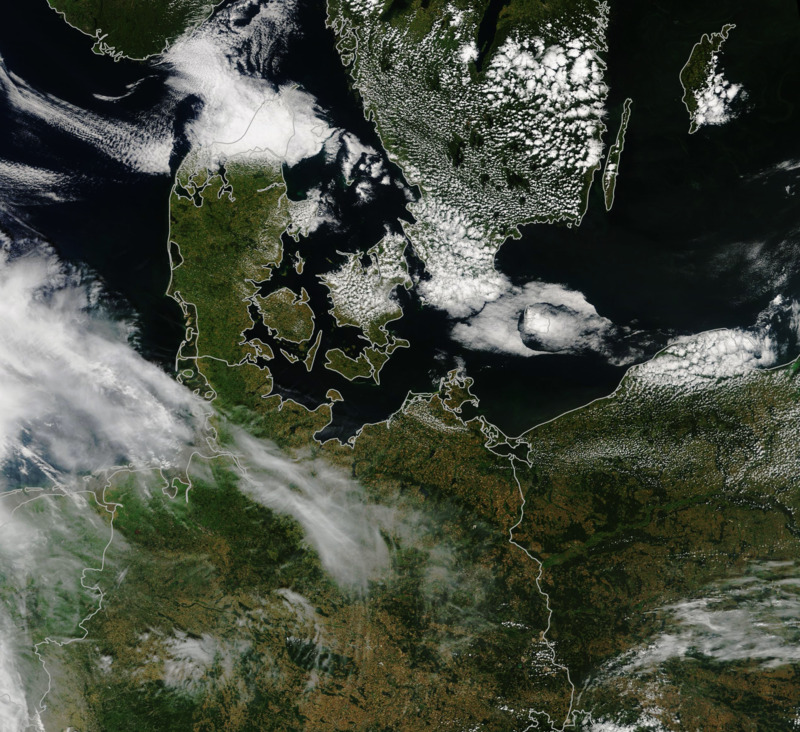 A persistent heatwave has been lingering over parts of Europe, setting record high temperatures and turning typically green landscapes to brown. 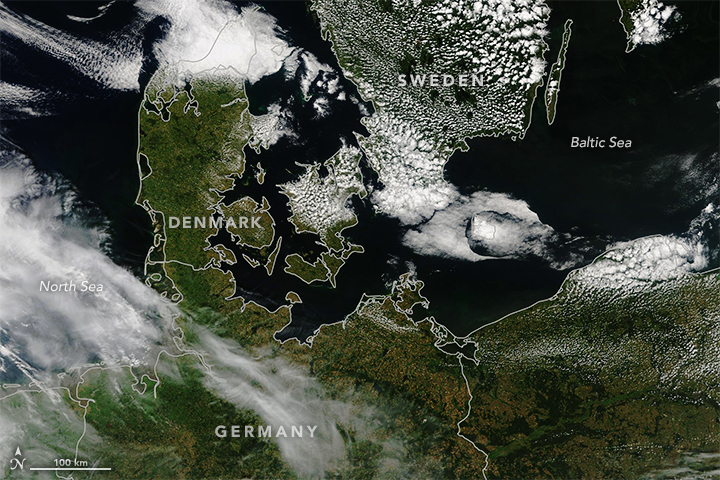 The images above show browning in north-central Europe on July 24, 2018. 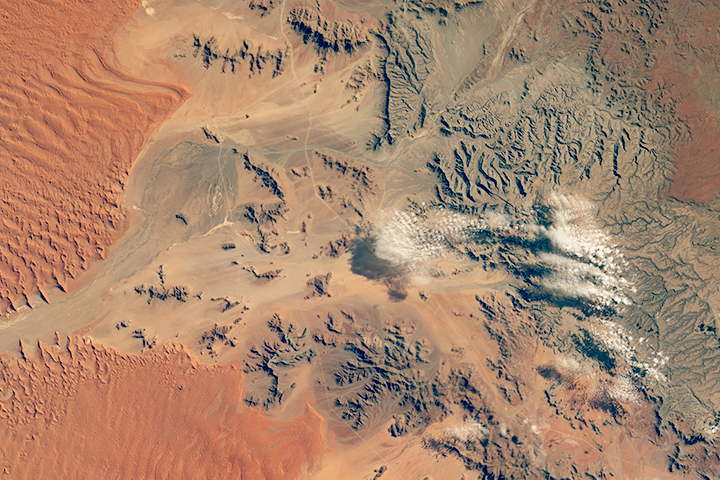 For comparison, the second image shows the same area one year ago. 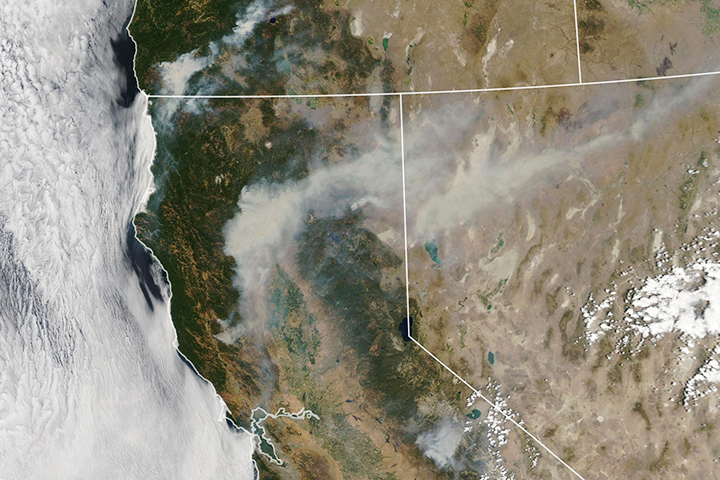 Both images were acquired by the Moderate Resolution Imaging Spectroradiometer (MODIS) on NASA’s Terra satellite. 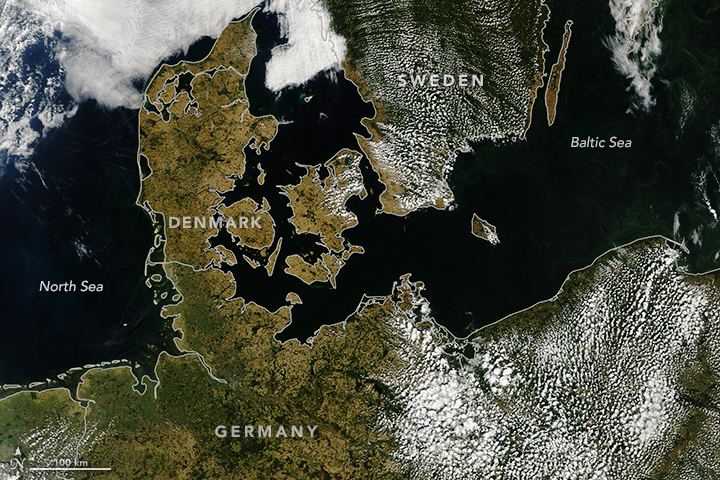 According to the European Space Agency, these regions turned brown in just a month, during which several countries experienced record high temperatures and low precipitation. Much of Germany has experienced drought conditions since May. 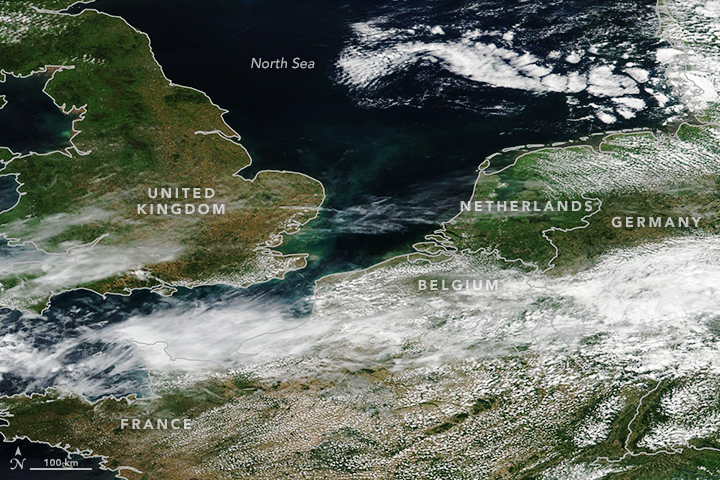 The United Kingdom experienced its driest first half of summer (June 1 to July 16) on record. 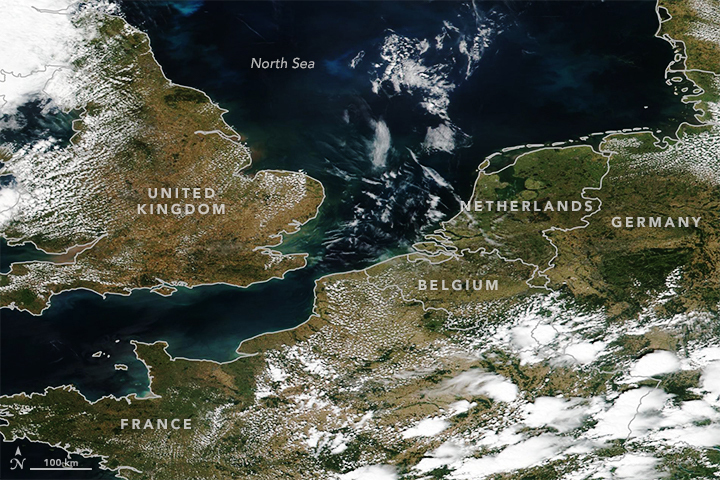 The image pair below shows the burned landscape of the United Kingdom and northwestern Europe as of July 15, 2018, compared with July 17, 2017. 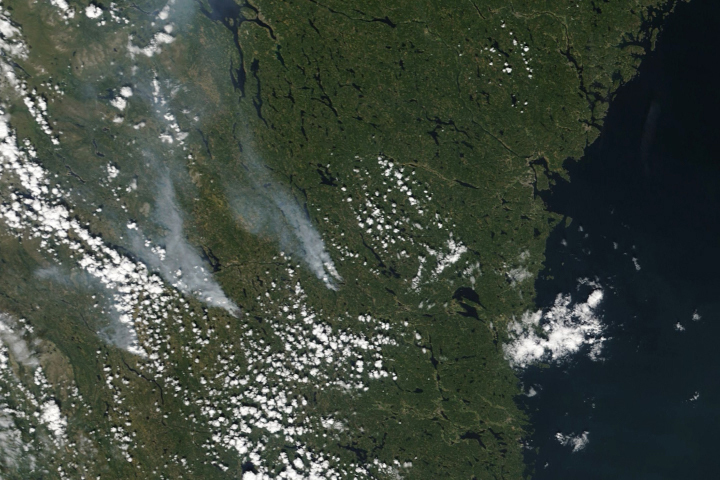 Both images were acquired by the Visible Infrared Imaging Radiometer Suite (VIIRS) on the Suomi NPP satellite. 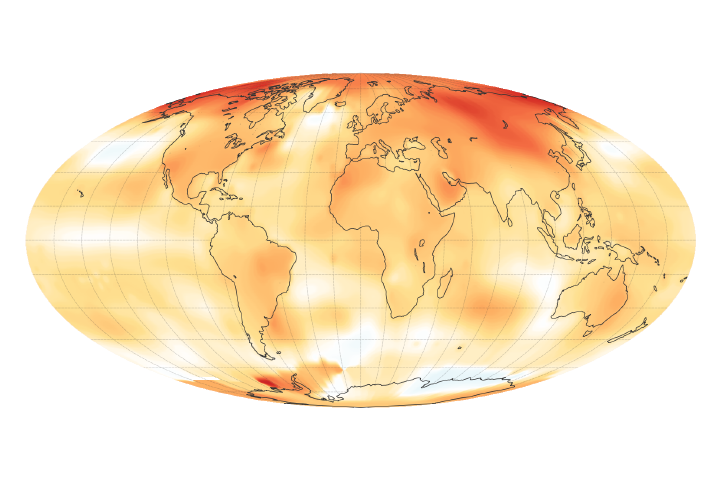 Peter Gibson, a postdoctoral researcher at NASA’s Jet Propulsion Laboratory, examined how global temperatures have varied in June over the past 50 years, using historical temperature data from the NASA Goddard Institute for Space Studies. The data showed a steep, persistent warming trend over the decades, and extreme heatwaves are more common. Gibson said this particular heatwave has been boosted by an unusual positioning and persistence of the jet stream. Since May, the jet stream has been stationed unusually far north, particularly over Europe, and in a wavy pattern like the uppercase Greek letter omega. 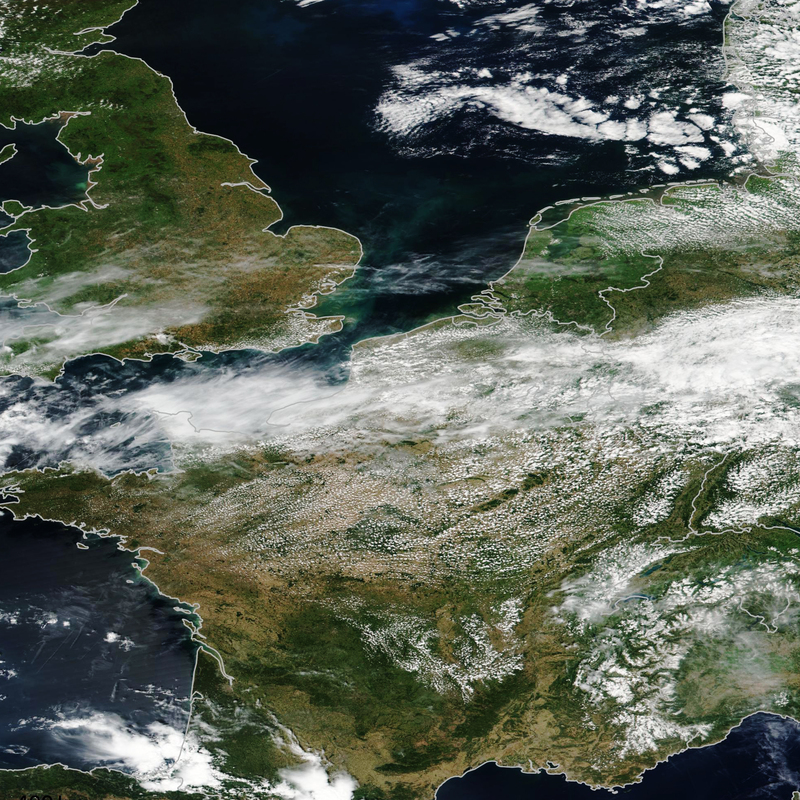 The upper level wind pattern has trapped an area of high pressure over the United Kingdom that has mostly been windless, cloudless, and very hot. “Scientists are still working out the details of how climate change might be influencing the jet stream. But we already know the background state of the climate has warmed by about 1°C, indicating some human influence on this event,” said Gibson. NASA Earth Observatory images by Lauren Dauphin, using VIIRS data from the Suomi National Polar-orbiting Partnership and MODIS data from LANCE/EOSDIS Rapid Response. Story by Kasha Patel. Deutscher Wetterdienst (2018, July 5) Aus agrarmeteorologischer Sicht. Accessed July 27, 2018. 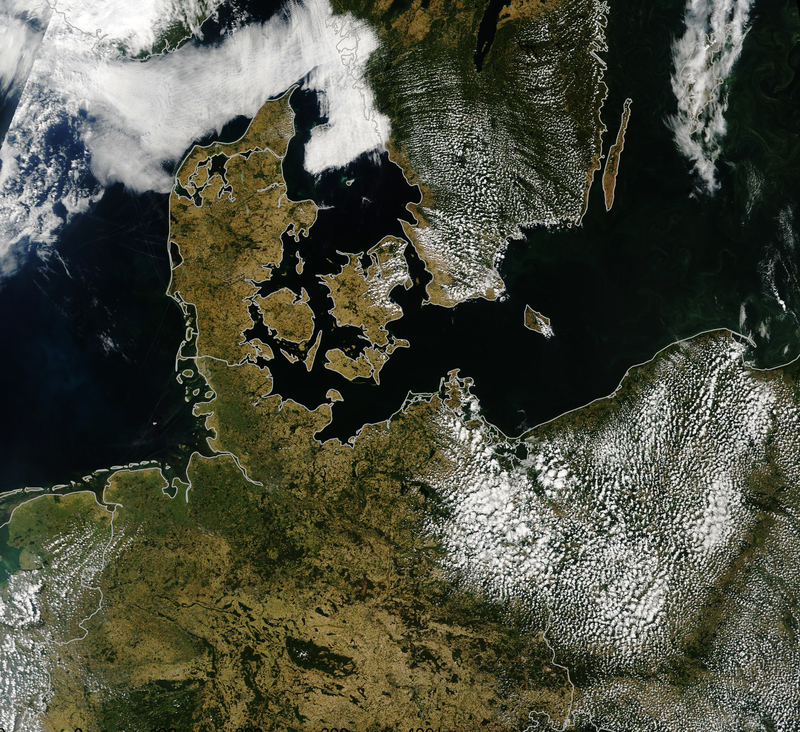 European Space Agency (2018, July 26) From Green to Brown in a Month. Accessed July 27, 2018. New Scientist (2018, July 24) Warming Arctic could be behind heatwave sweeping northern hemisphere. Accessed July 27, 2018. Perkins-Kirkpatrick, S.E., and Gibson, P.B. (2017) Changes in regional heatwave characteristics as a function of increasing global temperature. Nature 7, 12256. The Social Metwork (2018, July 24) Itâs a #GlobalHeatwave. Accessed July 27, 2018. 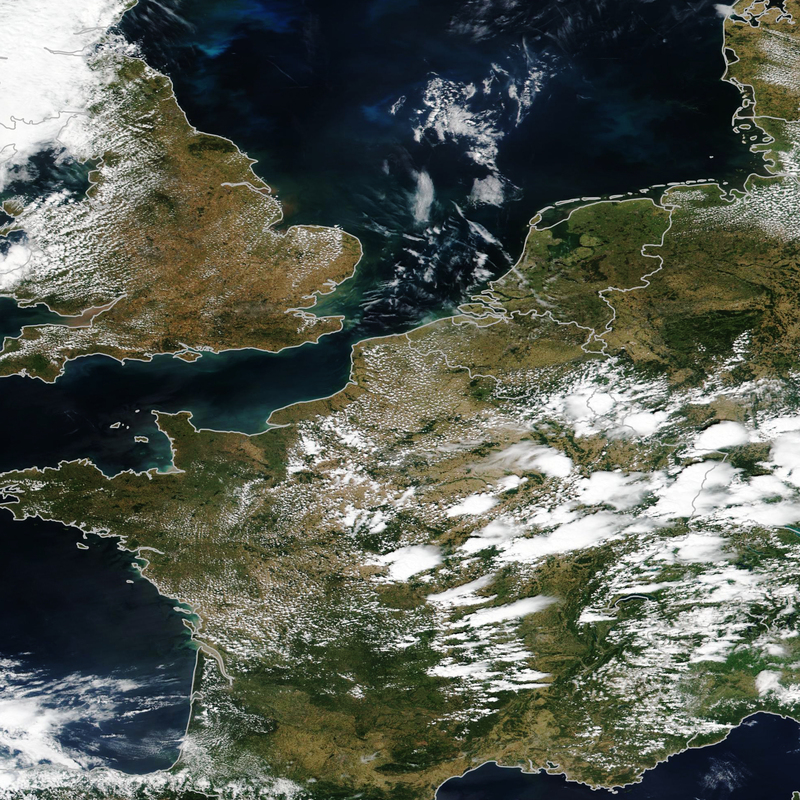 UK Met Office (2018, July 2) Record breaking June. Accessed July 27, 2018. World Meteorological Organization (2018, July 26) July sees extreme weather with high impacts. Accessed July 27, 2018. How Warm Was Summer 2010?